- Learning the name of the months of the year in order. - Learning the names of the days of the week in order. - Using descriptive words to describe clothing worn by children. 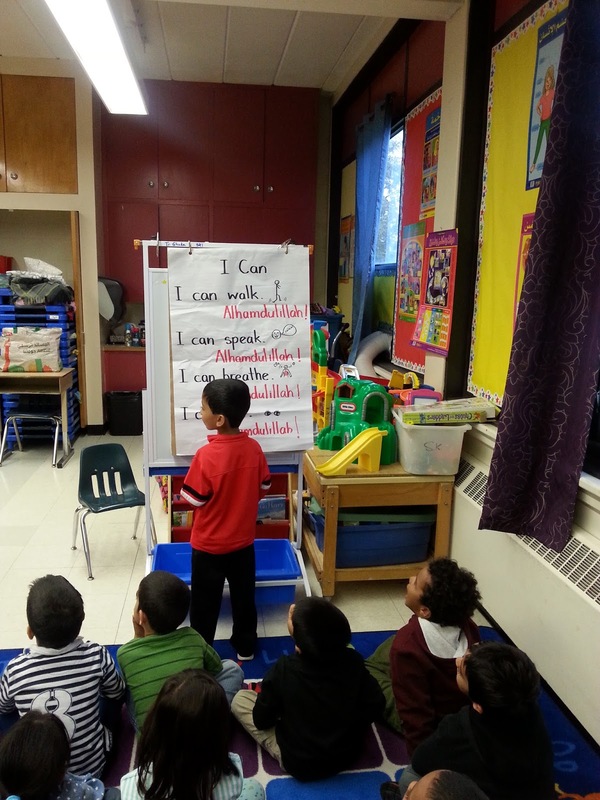 - Reading “I can” story. - Counting to 30 in English. - Talking about the weather, and learning the different vocabulary associated with that. - Learning the letter –Tt and the sound it makes at the beginning of a word, and at the end of a word. - Masha’Allah the students were able to earn their 10 gems in the gem jar for five classes! We rewarded this with a movie (Leap Frog Word Factory), and popcorn. - The letters –Ii and –Pp. - Spelling the number word 0-zero. - Describing mystery object using descriptive words. - New story “I am”.